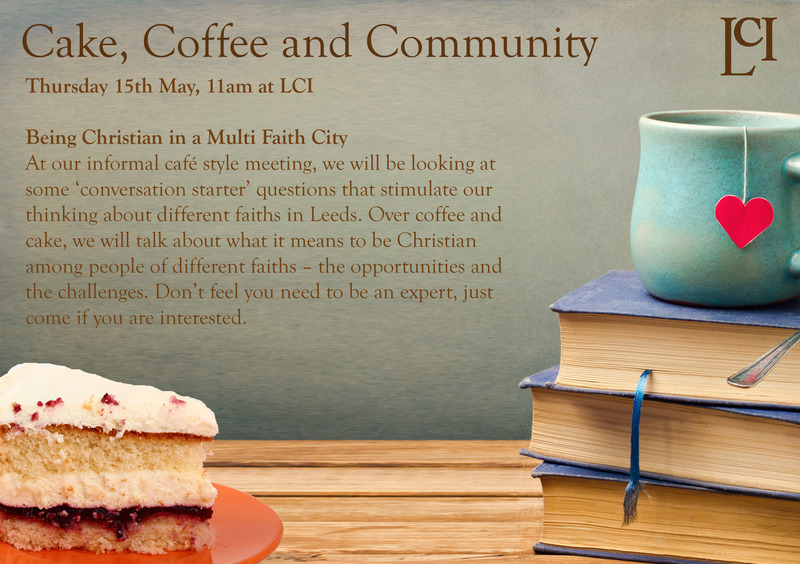 At our informal café style meeting, we will be looking at some ‘conversation starter’ questions that stimulate our thinking about different faiths in Leeds. Over coffee and cake, we will talk about what it means to be Christian among people of different faiths – the opportunities and the challenges. Don’t feel you need to be an expert, just come if you are interested.